IUJ is pleased to offer our successful applicants a variety of scholarship support to attend our degree programs. Matches are made on a competitive basis, at the time of Admissions, and based on the objectives of our various partner organizations, companies and foundations. 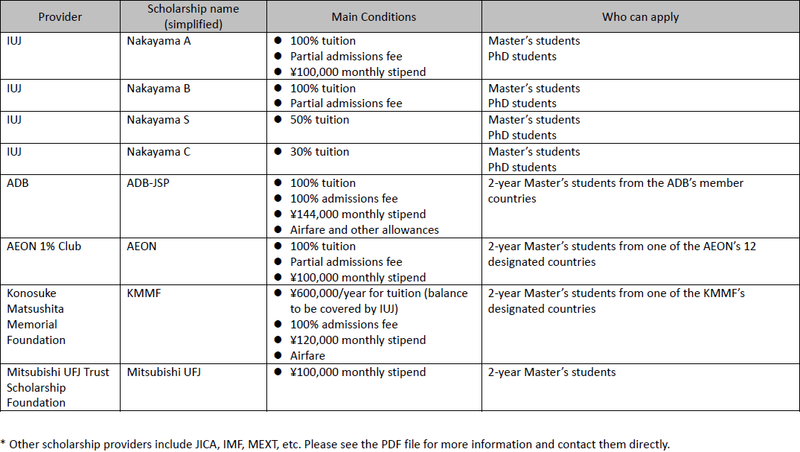 Below is a quick list of the types of scholarships that applicants may be matched with, both directly by IUJ, through nominations from IUJ, and by independent applications with requests to join the IUJ community. For full details on each, please click on the PDF file below. In Phase 2 of the Online Application, you will find a Scholarship application to fill in. The Admissions Committee considers scholarship awards along with the Admissions decisions. 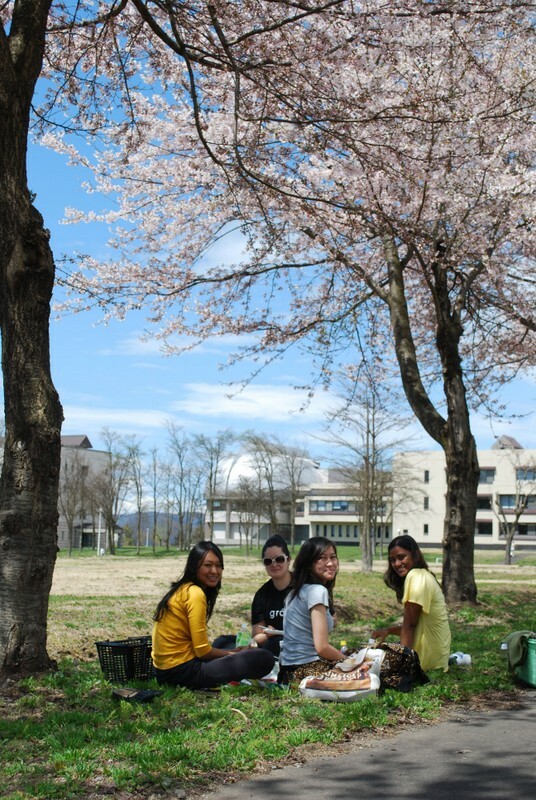 Japanese applicants can apply for scholarship(s) at the time of application to IUJ academic programs. Please read the information carefully (link provided above) and apply for appropriate scholarship(s). Scholarship information is subject to change. In addition to the scholarships you may be offered before arriving at IUJ, there are a few scholarships you may try for (depending on your academic and financial needs status) after your IUJ education begins. The OSS staff provides application instructions on the campus bulletin board in a timely manner. Please click the link to learn about scholarships after starting class at IUJ. Those who would like to apply for scholarships through the Japanese Government (MEXT) with Embassy Recommendation, please read below. MEXT scholarship applications are finalized about 13 months prior to coming to IUJ in September, each year. The process starts 1.5 years before the start of your IUJ program. For consideration, contact the Japanese embassy or consulate nearest you for the application form and their schedule. After you pass the preliminary screening conducted by the Embassy or Consulate, contact IUJ (we are not allowed to help you before then). Please contact IUJ as soon as possible after passing the screening in order to allow enough time to complete the process considering summer holidays. IUJ will ask for TOEFL, IELTS or TOIEC scores, and for the MBA candidates a GMAT score (or GRE for some that qualify), and other supportive documents. Note: IUJ will accept MEXT scholars only for the period needed to complete the degree for which the scholar plans to enroll. An additional 6 months of Japanese language training is not necessary for MEXT scholars who enroll at IUJ.